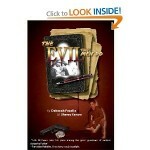 THE EVIL THAT MEN DO is the first title published by Shorehouse Books. The debut novel from the writing team of Deborah Fezelle and Sherry Yanow has been receiving quite a bit of attention. With a webseries in the works, this mystery, suspense, paranormal thriller will keep readers glued to their seats. This author duo met online while chatting about soap opera actor Vincent Irizarry (Lujack as most of his fans know him). The friendship turned into a collaboration between Fezelle, a Juilliard grad with years of acting and directing under her belt and Yanow, an academic turned published romance author. Great show with these two talented women! The interview was so much fun to listen to!